Does Mysterio Have Ulterior Motives In FAR FROM HOME? 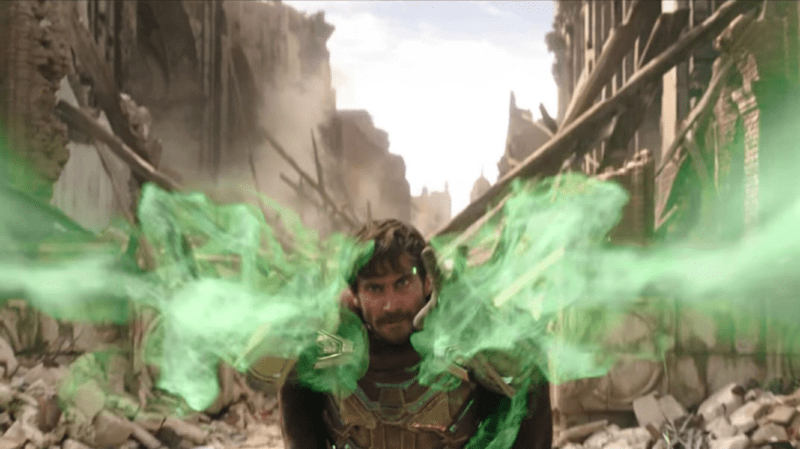 The FAR FROM HOME trailer gave us our first look at Mysterio. Let’s look at who Mysterio is, what will he be trying to accomplish, and why. 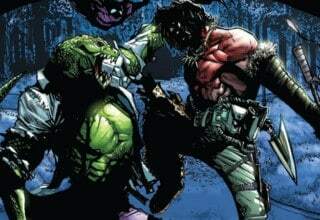 In the comics, Quentin Beck was once a prominent special effects director and stunt man in Hollywood. Determining he can make more money as a criminal, he uses his skills with special effects to create illusions and distractions typically so that he can rob banks and the like. On the surface, it often appears as though he is a master of mysticism, full of power and ability. In reality, it’s a ruse with well-timed tricks and projections. 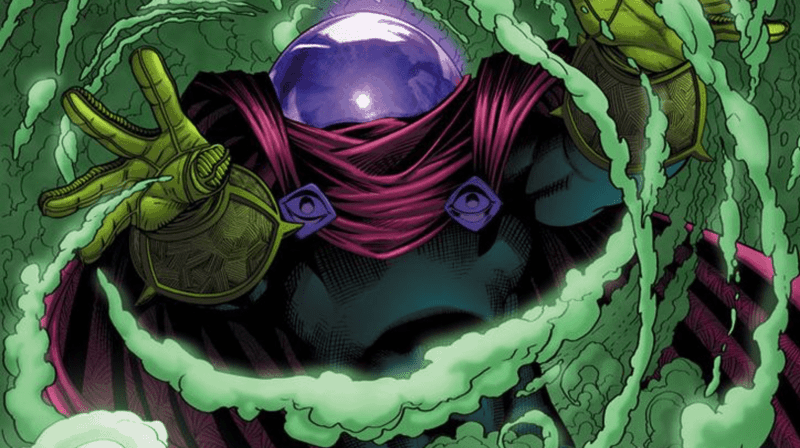 If you’d like to know more about everything that makes Mysterio so awesome in the comics, take a look at our article from Tim Stevens about why he rules! Actor Jake Gyllenhaal will be playing Mysterio in the new SPIDER-MAN movie, and that’s so cool. Gyllenhaal totally has the acting chops for the role, and I’m pretty confident he’ll be able to pull of Beck’s personality traits of overconfidence, pride, and greed. On the Late Show with Stephen Colbert, Gyllenhaal himself commented on the role, saying that he was looking for a role where he could do something different and have space where he could do something with it. He finishes by saying that he did and that he’s excited. With that in mind, let’s take a look at what we know so far and see if we can determine what Gyllenhaal’s Mysterio will be up to in FAR FROM HOME. In the FAR FROM HOME trailer, we see Peter Parker being recruited by none other than Nick Fury. He needs Spider-Man’s help to stop a threat of what appears to be giant elemental monsters wreaking havoc across Europe. 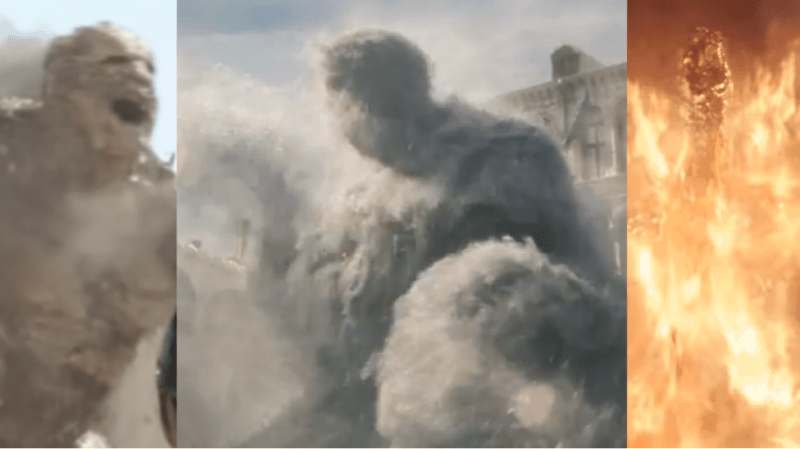 At the end of the trailer, we see Peter getting blown back by a water based elemental. Then in a cloud of green smoke, we see Mysterio arrive. 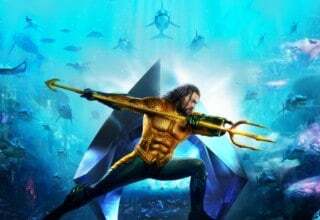 He tells Peter that Peter doesn’t want any part of this, and then blasts the water elemental with green energy. He then flies around the elemental, complete with his comics-accurate fishbowl helmet, deflecting its’ attacks, in a very heroic fashion. Why is Mysterio protecting Peter and the bystanders? Why would he care? 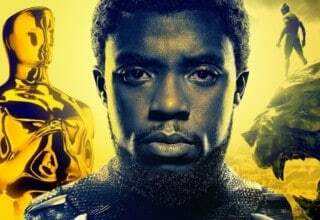 Is his MCU version a hero? Or is he the villain we know him to be and is simply misdirecting the public away from his true goals? Watching the news, Peter’s friends even refer to Mysterio as appearing to be like Thor and Iron Man rolled into one. Also, his blasts and shields also look very similar to those of Dr. Strange. It seems doubtful that Marvel Studios would drastically change a classic Spider-Man villain by making him a hero. No, it seems much more likely that Mysterio is playing the part of the hero. But why would that be? It seems very likely that the MCU Mysterio could have the same motivations and goals as his comics’ counterpart. The difference could be that Beck takes a look at his world that is full of heroes like Spider-Man and the Avengers. Perhaps Beck gains the desire to have their level of fame and popularity. The world certainly seems to appreciate and love Spider-Man as seen at the beginning of the trailer with him endorsing a charity foundation. It would to reason that Quentin thinks he could use his skills to present himself as a hero with abilities. Fame often comes hand in hand with money, so maybe Beck thinks he can make some money along the way? Elementals: Just Smoke and Mirrors? Why stop there with just playing the hero? 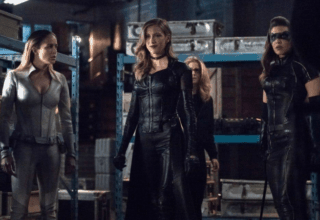 If it’s just special effects, Beck could still theoretically get hurt against the threats superheroes typically deal with. So what about creating the threat? Mysterio could just as well fashion fictitious dangers and then present himself as stopping them. This would track with what Gyllenhaal has said about his character and how he comes onto the scene in Europe. 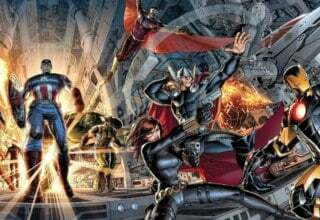 According to him, Peter Parker isn’t the only one Fury recruits the elementals. He’ll also recruit Mysterio. Why? 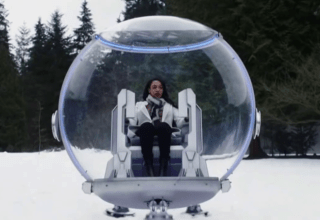 Well, apparently it’s because Beck is the only one who seems to know anything about these elementals, to begin with. Now doesn’t that seem suspicious? 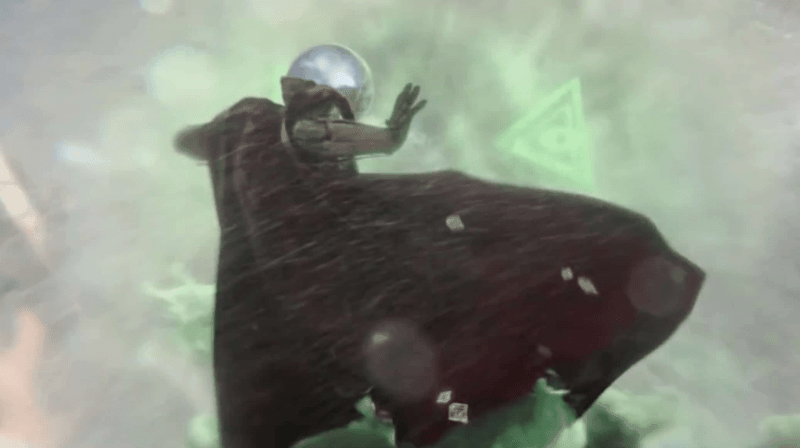 In my mind, a pretty strong case is forming for Mysterio creating the elemental dangers so that he himself can stop them, thereby reaping the fame and rewards of saving the day. It certainly seems like it would track with his character. 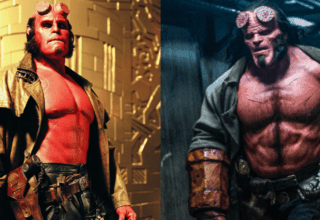 It’s also widely believed that the elementals themselves will be new, more monstrous versions of Sandman, Hydro-Man, and Molten Man. There was also some lightning in the sky during one shot of the trailer. 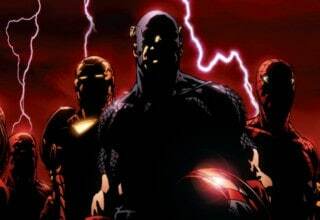 Could it be coming from an elemental version of Electro? Who knows? Will Mysterio Find Allies by FAR FROM HOME’s End? At any rate, I’m incredibly excited to see Mysterio on the big screen, and I’m looking forward to seeing what Gyllenhaal’s portrayal will bring to the table for the character and film overall. Furthermore, I’m even more excited for what comes after FAR FROM HOME and who Beck might meet. I’m referring to the potential of Mysterio interacting with the Scorpion and/or Vulture at some point in the film, most likely near its conclusion. If you remember, when Vulture was in prison at the end of HOMECOMING, he meets the Scorpion who asks him if he knows who Spider-Man really is. Vulture lies and says he doesn’t. Scorpion also says he has friends on the outside who’d love to kill him. 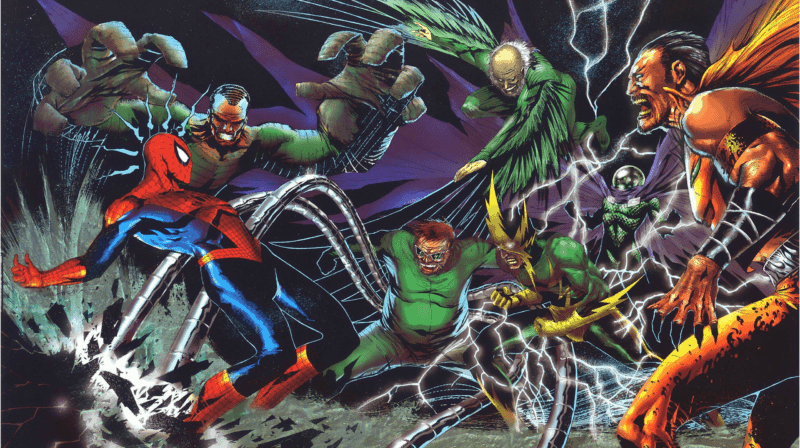 It’s a possible set-up for the Sinister Six, a group of super villains from the comics who unite due to their mutual hatred and desire to end Spider-Man. They gather and break up several times, with changes to their roster every so often with each new formation. 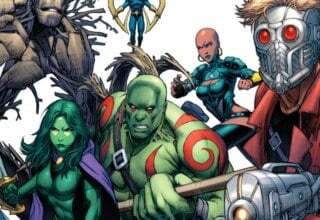 However, there is one supervillain who remains a pretty consistent Six member in the comics, and that’s Mysterio. There isn’t much to confirm my wishful thinking as of yet but just wait and see. We could very well be seeing a third SPIDER-MAN film down the line, with Peter Parker facing a combined threat of villains who’d like nothing more than to see him gone. What do you think Mysterio’s motives and methods will be in FAR FROM HOME? What are your theories? Let us know in the comments below? SPIDER-MAN: FAR FROM HOME comes to theaters July 5th.